When selecting which customer letters to place online, we look for those that have an interesting story to tell, or underscore the importance of “the little things” that make a big difference from a customer’s perspective. Congratulations to all Tuffy Franchisees and their employees for doing such a great job! If you have comments or questions, please feel free to contact us. Remember to mention which store you visited! In June, my family and I traveled to Destin, FL for our vacation. Traveling with two boys under the age of three is always eventful, but when you have a flat tire on a boat trailer it just gets better. We were able to limp into Destin on the spare and begin our search for a replacement. Not knowing the area, I just drove around and stopped at any tire store I saw. I stopped at three locations before I made it to Tuffy, where I was amazed by the service I received. The customer service at my previous stops had been less than rude and was the reason I continued looking. Upon arriving at Tuffy, Matt Miller, the assistant Manager, was eager to help me and was happy to answer my questions. Matt had to order the tires for the boat trailer, and I decided no to take a chance and replaced both tires. My tires arrived just as I was told and I did not miss any fishing or family time due to a flat tire. The guys installed my tires, put my spare back on the trailer and seemed happy to be working. I was very impressed with all the employees and their workmanship. Thanks for saving a lot of our vacation time. I wanted to let you know how Jim and Phil went above and beyond my expectations at the Tuffy in Bradenton, FL. My customer experience was beyond excellent. My truck battery died at the light right next to the Tuffy store. I pushed my truck to the side and ran inside. They let me borrow a starter kit and I limped my truck to Tuffy where they were able to diagnose my battery and install a new one within minutes. I was back on the road and heading toward the beach ASAP for a wedding that weekend. Thank you so much. Given that great experience, I will definitely recommended Tuffy to everyone, and I will be a returning customer myself. Over 15 years ago I lived 30 miles North of the Walled Lake area and had a Tuffy Dealer in Waterford that did all the maintenance work on our vehicles. I was so pleased with that Tuffy Muffler Shop in Waterford and the Father and Son Owners were so down to earth honest people. The Son was a little older than I, but was the top mechanic there at that time in the "90's" and did all the work on my Chevy and my wife's Cutlass then. I really felt comfortable with their honesty and work ethic. The fixes lasted for the life of ownership of the vehicles on everything they done without one problem after. 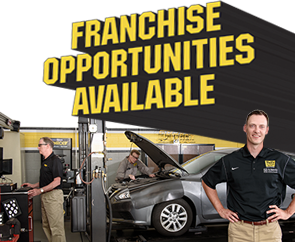 I was dismayed when I moved down to the Wixom area and was very unhappy with the services from other auto repair shops. I always had to take the vehicles back to have them redone some way or another because of poor work. Since moving down to this area, I had nothing but bad luck with auto repair shops until I decided to try the Tuffy on 15 Mile and Pontiac Trail. I called to make an appointment to have a new muffler system quote for my 4 X4 Durango. The man I spoke to gave me an estimate over the phone which was almost $200 under any other estimate. I could not have bought the parts and done it myself for less. After getting the quote, I brought the vehicle in the next morning and to my surprise the man at the counter looked very familiar; noting it has been over 14 years since I had seen him last. I then realized it was the son (Art Rott) of the Tuffy Muffler (Father & Son) in Waterford! I could not believe it! He had his own shops now. We talked briefly and shared short lifetime stories but not long because the shop was loaded with customers. They were all just getting ready to pick up their fixed vehicles or just waiting. The atmosphere was so friendly and calming even though you knew it was money out of pocket non the less to have your vehicle fixed. During that time in between seeing Art again, I became permanently disabled from a work accident and money is a very limited commodity as I know for most people this day and age. I then gave Art my keys to redo the muffler system and exhaust and asked him to check my A/C also which stopped working for me some time ago. Even though the cars were going in and out of the shop I noticed there was still about 8 people ahead of me and Art said it may not be ready till later in the day. He then offered to give me a ride home and pick me up when it was ready. But, I thanked him and called my wife to pick me up. I left there actually feeling very good instead of waiting at home for the dreaded call of "It's going to cost more!" I was lost for words of his generosity and turned to other patrons in the waiting area and said "Can you believe this?" They all smiled and said that is why we always come to Art's Tuffy Muffler. Good Karma Art! Art - I just wanted to thank you and let the people in the area know what a stand up guy you are. I now know why your parking lot is always full. The money I saved going to you bought our groceries for two weeks! That means a lot being on a fixed income. Thanks for the lunch at Subway too! I owe you one!